Discover the coastal charm of Perth and Fremantle on this diverse half-day sightseeing tour. Take in views of the cityscape from treetop walkways at Kings Park Botanic Gardens, and then get a closer look at cultural landmarks on a narrated coach tour. Head to the coast to admire the famous sandy stretches of Cottesloe Beach and soak up the seaport ambience of historic Freemantle. Upgrade to include a return cruise to Perth along the scenic Swan River. 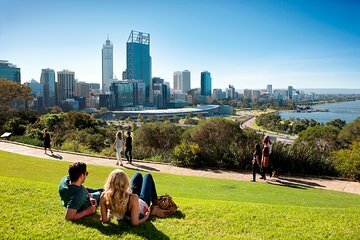 Get a great introduction to Western Australia’s capital city on a packed, half-day sightseeing tour. After morning pickup at your hotel or a central meeting point, head to the lovely Kings Park Botanic Gardens for panoramic views of the cityscape. Stroll along the elevated Treetop Walkway for a glimpse of downtown skyscrapers peeking above the leafy canopy, and marvel at a 750-year-old baobab tree relocated here from the Outback. Continue on by air-conditioned coach for a narrated sightseeing tour through central Perth. Listen to your guide’s onboard commentary as you drive past highlights including St Georges Terrace, historic Town Hall, the WACA cricket ground and an iconic riverside bell tower. Next, head to the coast and enjoy a sandy stroll along famed Cottesloe Beach. Continue south across the Swan River to the historic seaport of Freemantle, where many original buildings were constructed by convicts in the 1880s. Admire the colonial landmarks and — if visiting on a Friday, Saturday or Sunday — browse community markets to pick up fresh local produce or unique knickknacks. Midday, return to Perth’s Barrack Street Jetty via coach. Alternatively, upgrade to take a leisurely return cruise along the Swan River. Great tour it was awesome! I'd suggest another tour. We there were a number in our group got dropped off for the ferry at 11:15am but it had just left so were told the next ferry was another hour an half wait, this was after being rushed through the tour of Fremantle to get there. Not very well planned at all on the operators parts. There were at least 10 of us stranded on the dock so we ended up walking back into the Fremantle and wandering around for the hour and half. What on earth was the rush for? Wonderful trip even though the weather wasn't on our side. Friendly staff with excellent local knowledge. Very enjoyable. Really good tour. The mix of coach tour and river cruise was excellent the. Beautiful day and beautiful scenery. Boat cruise was very comfortable. The commentary was difficult to hear but we enjoyed just looking at the black swans and beautiful river and homes. The vehicle was comfortable, the lady who was driving had awesome knowledge on Perth and was courteous. The trip fully explained the basic and historical facts of Perth. I recommend every tourist/settler in Perth to take this city tour within 1-2 days of arrival. this will help them to know the things and how to move around in Perth. 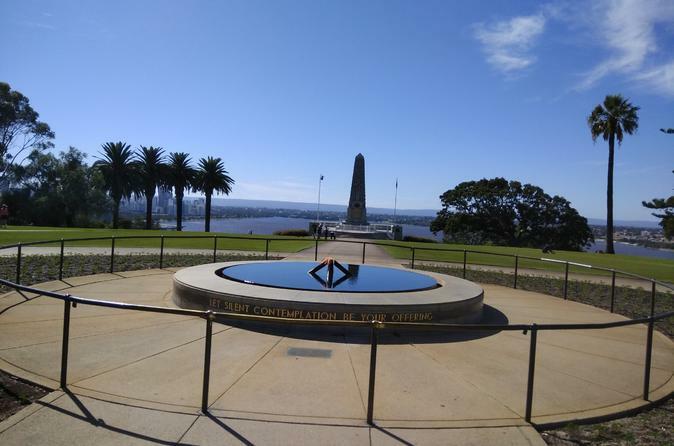 The trip was a good introduction to Perth and Fremantle, although the driver / guide did not talk much about history, did not take us to the museum quarter or even mentioned it. We passed by the architecturally interesting concert hall - the guide did not mention it either. He was very knowledgeable about local real estate prices. The visit to the Kings Park and Botanic Garden was the highlight, as was the river boat trip from Fremantle to Perth, which included wine tasting.